Out of the 3 billion users on the Internet, how many can trust that their online communications will not be monitored or censored? How many feel safe that they can express their opinions online and will not be arrested for their ideas? How many feel confident in communicating anonymously online? By Sally Shipman Wentworth, VP of Global Policy Development, Internet Society. For us this is a key element of an Internet of opportunity: Internet access is only meaningful if people can trust that their fundamental rights will be respected and protected online as well as offline. Access and trust go together: they can’t be considered as separate parts. Released today, Freedom House’s 2015 Freedom on the Net report offers a stark, and concerning, view on the current status of online freedoms. Out of the 65 countries assessed, the report concludes that Internet freedom in the world has declined for the fifth consecutive year. 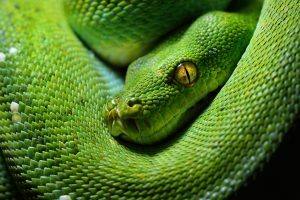 Governments that had already expanded their arsenal of tools for controlling the online sphere are now strengthening their application of these methods. There are some notes of hope however: 15 countries registered overall improvements as part of the Report’s assessment. The year’s biggest gains occurred in Sri Lanka following the January 2015 elections, with unblocked websites and ceasing of prosecutions of Internet users. Cuba also registered an improvement after the reestablishment of diplomatic relations with the United States. Research also shows that widespread adoption of HTTPS (TLS) has made the blocking of specific content more difficult. At the Internet Society, we believe in the power of the Internet to bring all of us closer together. We believe the Internet is a tool that can empower everyone to express their true potential. In practice, that means anything from creating the next successful global app, finding educational treasures online, revolutionizing trade, to simply staying in touch with family and friends at the reach of a button. As we work with many others around the world to bring the rest of the world online, we firmly believe that the respect and protection of online freedoms is a pillar of trust, itself the basis of all economic and social exchanges online. We encourage those countries who have made concrete steps toward an open and rights-respecting Internet to go further on this direction. And in those countries where steps have been taken away from an open Internet, we ask those governments – and citizens within those countries – to re-examine the consequences of those actions and move toward an Internet where opportunity is available to everyone. 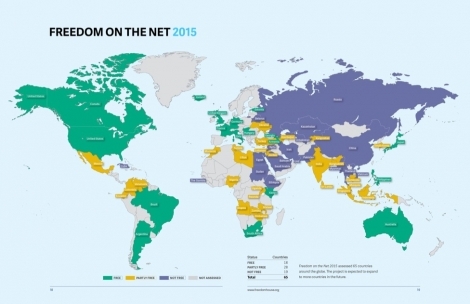 Where does your country stand in the 2015 Freedom on the Net report? And what will you do to help improve that standing? By Sally Shipman Wentworth, VP of Global Policy Development, Internet Society. Originally published online at InternetSociety.org. More blog posts from Sally Shipman Wentworth can also be read there.